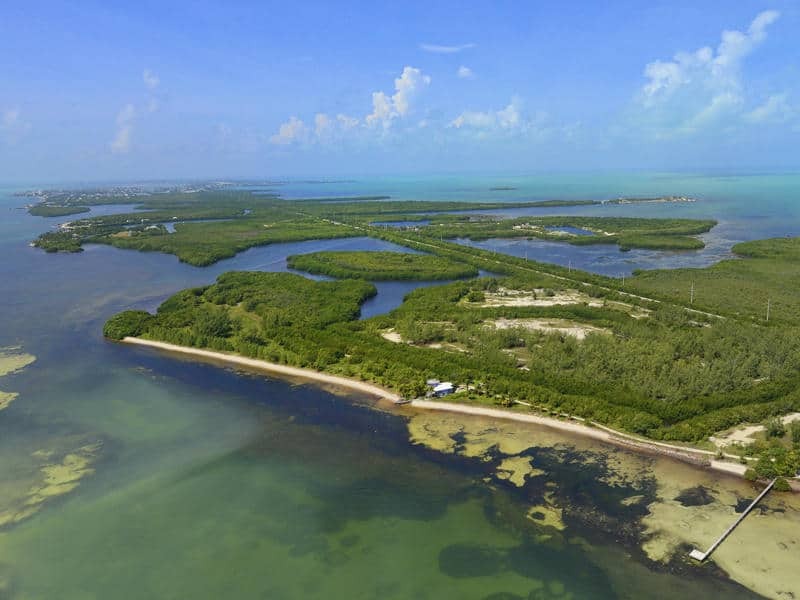 Welcome to Pine Keys Vacations, the Florida Keys most natural holdout, where wildlife refuges protect rare and endangered animals. Here you’ve left behind the commercialism of the Upper Keys for an authentic backcountry atmosphere. This quiet region of small islands is connected from the west end of the Seven Mile Bridge at Sunshine Key. 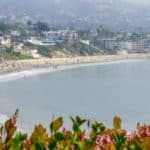 Here you will find family-owned resorts, RV parks, campgrounds, quaint B&B’s and licensed vacation homes, as well as eclectic restaurants, native wildernesses and rich history. 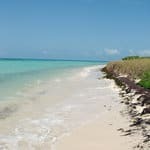 Make sure to visit Bahia Honda State Park and Recreation Area, whose white sandy beaches and abundant wildlife frequently earn the area “one of the most beautiful beaches in America” accolade. Shop, dine or explore the National Key Deer Refuge, where the diminutive Key Deer live. Visit the freshwater habitat of the Blue Hole or No Name Key for a backcountry kayak adventure. Big Pine is the jumping off point for snorkel or dive excursions to the 210-foot wreck of the Adolphus Busch, Sr., and Looe Key coral reef. View the beautiful beaches of Key Largo and the Florida Keys here. Over the course of a year, the temperature typically varies from 64°F to 91°F and is rarely below 54°F or above 93°F. The warm season lasts from May 28 to September 29 with an average daily high temperature above 87°F. The hottest day of the year is August 3, with an average high of 91°F and low of 81°F. The cold season lasts from December 8 to February 25 with an average daily high temperature below 77°F. The coldest day of the year is January 13, with an average low of 64°F and high of 74°F. There are two airports near Big Pine Key, Miami International Airport which is about 102 miles from Big Pine Key, and the Key West International Airport at about 27 miles from Big Pine Key. To create a fair watch, go to AirFareWatchDog which will alert you when the flights are going down in price. Also check my airfare tips on how to make sure you are getting the lowest fare. For finding the lowest fare, go to CheapFlights. I find them to be the best for flight comparison, and getting the best deal if you are ready to purchase. Once you have your airfare, make sure you reserve your airport parking ahead of time. You can Save On Airport Parking and not have the last minute hassle (been there) of trying to get parking reserved. No matter if you are heading to Big Pine Key for a vacation or a business trip, you deserve a great ride to take you around town. See the top attractions around the neighborhoods and park in front of the hottest new club in the city in your Big Pine Key car rental. Just tell CarRentals.com what you want. – Fancy the Big Pine Key breeze through your hair with a convertible? – Want to charge your way through valleys and hills in an SUV? – Looking for a compact vehicle to squeeze into tiny slots downtown? CarRentals.com is more than prepared to make your trip effortless and affordable with their wide selection of options. Springer’s Bar and Grill offers the best food, drinks and live music in the Florida Keys! They offer mouth watering menu items that are sure to please your palate and fill you up. From our Duval Pot Pie, to thin crust Pizza, to the BEST Blackened Fish Sandwiches to the Keys, there is something for everyone on their menu. Join them for some fun and drinks on their outside patio while listening to local musicians sing live music. 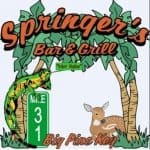 Springer’s is a great place to relax and have fun with the entire family here in the Keys. Call them at 305-872-3022 or visit them at Springer’s Bar & Grill. Think of this Florida Keys restaurant, The Dining Room, as paradise for your palate. Experience the restaurant’s candlelit ambiance indoors, or opt for a table on their breezy terrace overlooking the beach. The Dining Room at Little Palm Island is open for breakfast, lunch and dinner for resort guests and off-island visitors. They also offer an incredible Sunday Brunch each week, monthly Full Moon Dinners, and Wine Maker Events. Reservations and proper attire are required. They welcome young adults age 16 and older. Be sure to inquire about thier private table options including Palapa Point, Harbor Point and the exclusive Chef’s Table located directly in our kitchen. Call them at 305-872-2524 or visit them at Little Palm’s Dining Room. No Name Pub has been awarded top scores for food and service in the ZAGAT Survey’s Casual Dining category for many years running. The ZAGAT surveyed over 700 South Florida restaurants and rated the No Name Pub as the “Best casual dining experience in the Florida Keys ”. They went on to say, if you can find it you’ll be rewarded with the “best pizza anywhere”, chili, smoked fish dip and sandwiches served on paper plates in a real old rustic bar plastered with autographed dollar bills; those in the know say this Big Pine Key haunt is “worth the drive.” Call them at 305-872-9115 or visit them at the No Name Pub. The “Largest Tiki Bar in the Keys” delivers great food and entertainment for every member of your family right down to your pet. Boondocks’ modern facilities, spotless kitchen, cold prep room and pet friendly patio can cater to party’s of any size. With a large selection of lunch sandwiches and dinner entrees, their restaurant features fresh catch seafood, artisan-crafted pizzas, crisp quality salads, huge burgers and more. Boondocks’ “Southern Cooking Keys Style” is why some people spend 5 days a week dining in their open air restaurant. 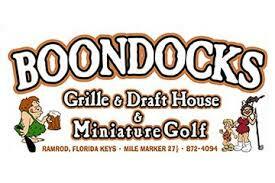 For more information call 305-872-4094 or visit Boondocks Grille & Draft House. This tiny spot on Big Pine Key has been an oasis for vegetarians for over 30 years, and they have the hippie vibe to prove it. 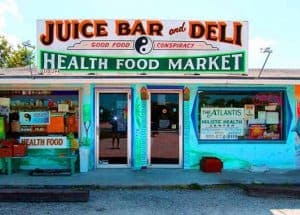 Blink and you might miss it on the Overseas Highway, so watch for the “Juice Bar and Deli” sign. Inside the low-key natural food market, you’ll find a deli serving a variety of gluten-free soups, wraps, salads, juices, smoothies and desserts. Pull up a stool at the juice bar, or take your goodies out back to the picnic tables in the colorful herb garden. Try the Freeze–frozen organic fruit transformed into ice cream. Their Avocado Cheese Melt gets rave reviews, and meat-eaters will be happy to find tuna and range-fed turkey. The owner, Marney Brown, has a wealth of knowledge and is on-hand to answer any questions. For more information call 305-872-3945 or visit them at Good Food Conspiracy. Featuring an award winning beach and historic bridge, Bahia Honda State Park at mile marker 37 in the Florida Keys has become a favorite destination for visitors to our island paradise. The park, encompassing over 500 acres and an offshore island offers some of the best snorkeling and beachcombing in Florida. The perfect and quiet getaway for the entire family. 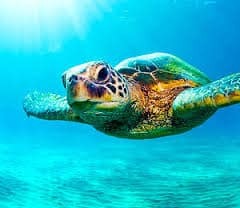 The concession service provider offers a complete gift shop, snack bar, kayak rentals and daily snorkeling tours to the fabulous Looe Key National Marine Sanctuary. The concessions are operated by the Coral Reef Park Co. There is free 24 hour WI-FI at concession building. Contact them at 305-872-3210 or visit them at Bahia Honda State Park. Keys Boat Tours is a recreational minded boat tour operation offering a variety of Florida Keys outings including; sail, motor, fish, stand up paddleboard (SUP), kayak, snorkel, and eco. It is an option for the whole family, where dad can get his fishing in, but everyone can equally enjoy. Best of all, they keep it comfortable, so to avoid choppy waters. The winter months are generally a little windy and not the flat pristine water of summertime. They want to keep everyone comfortable. This is one area that makes them unique. The Florida Keys is as much about the water as land, if not more so. They provide a service to get you out on the water–and have fun. Call them at 305-699-7166 or visit Key Boat Tours. They specialize in Lower Florida Keys backcountry adventures including: Half and full day kayaking nature tours, shallow-water skiff eco-tours, short and long term kayak rentals, backcountry sailing catamaran cruises, and shallow-water fishing. Captain Bill Keogh has lived in the lower keys for more than two decades and has made his living on or in these waters as a naturalist guide, educator and professional photographer. 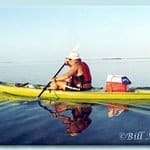 He has been published in numerous books, magazines and publications throughout the world and co-produced the book written by Jeff Ripple on the natural history of the Florida keys. Call them at 305-872-7474 or visit them at Big Pine Kayak Adventures. The most professional dive and snorkel charter boat in the Middle and Lower Keys, Looe Key Reef Resort and Dive Center, located at Mile Marker 27.5 on Ramrod Key, has been sharing the best of Looe Key National Marine Sanctuary since 1978 – longer than anyone in the area! Join them for a wonderful day on the reef. Now offering 2 trips daily. Or just go and relax at their classic Keys Resort. The most affordable motel in the Keys. Don’t forget to visit the Looe Key Tiki Bar. 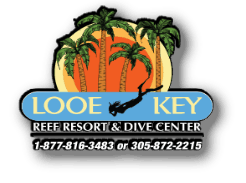 For more information call 305-731-8264 or visit Looe Dive Center. Board the Yankee Freedom III for a ferry ride to The Dry Tortugas National Park. Made up of seven small islands, it is one of the world’s most unique eco attractions. Its crown jewel, the historic Fort Jefferson, was once used as a prison during the Civil War. Explore and learn of its history with one of our guides and enjoy an array of activities. There’s something for everyone! Explore Uncharted Territory at the Dry Tortugas National Park! For more information call 1-800-634-0939 or visit Dry Tortugas National Park. This property is located on an island off Little Torch Key, Florida. It offers a marina, full-service spa, and gourmet dining. Every suite features ocean views and free Wi-Fi. Little Palm Island Resort boasts a sandy beach and outdoor swimming pool. A relaxing garden and library are on-site. Yoga classes and kayak rentals are also available. For more information, pricing, or to reserve your room, visit Little Palm Island Resort & Spa, a Noble House Resort. Showcasing a year-round outdoor pool and views of the sea, Deer Run Bed & Breakfast is located in Big Pine Key, just 29 miles from Key West. Free private parking is available on site. This bed and breakfast has a private beach area and free use of bicycles is available. A variety of activities are available in the area, such as snorkeling and canoeing. Marathon is 17 miles from Deer Run Bed & Breakfast, and Duck Key is 29 miles away. Key West International Airport is 26 miles from the property. For more information, pricing, or to reserve your room, visit Deer Run Bed & Breakfast. Offering an outdoor pool, a free hot breakfast at A.M. Kitchen Skillet, and free Wi-Fi access, Hyatt Place Marathon Florida Keys is in Marathon, Florida. Keys Fisheries Market and Marina is just under 1 miles from the resort. A fitness center is on site, and fishing, diving, and snorkeling can be enjoyed in the surroundings. Water sports hires, a marina, and boat docking are available at the Marathon Florida Keys resort for a charge. For more information, pricing, or to reserve your room, visit Hyatt Place Marathon Florida Keys. Courtyard by Marriott Marathon Florida Keys offers free WiFi and an outdoor pool with hot tub. Guests will be 5 minutes’ walk from the Turtle Hospital and 16 minutes’ drive from the Dolphin Research Center. The on-site restaurant, The Bistro, serves breakfast in the morning, dinner and alcoholic beverages in the evening, and specialty beverages brewed with Starbucks coffee. For more information, pricing, or to reserve your room, visit Courtyard by Marriott Marathon Florida Keys. Oh my, this is a lovely place to go. I’ve been to Florida before, but I haven’t got the opportunity to visit Big Pine Key. The Bahia Honda State Park seems to be a great place to visit. Not so crowded and looks so serene. Such a perfect spot to de-stress from our busy life. Btw, do you recommend visiting this place with small children? Yes, GREAT place with small children. There is so much animal life, the dolphins are a huge hit! I think the Florida Keys would be a wonderful place to visit with kids 🙂 Thanks for reading Rina! Wonderful place:) Really nice place to have a holiday . I can see that you have everything prepared here, flight tickets, cars. rooms…..everything…. Thanks for visiting Cristina 🙂 Yes, I am partial to Florida. I think they have the best beaches in the U.S. minus Hawaii which is just not very cost effective. Oh my goodness, this makes me want to go to the beach again! I can’t wait till summer, I haven’t been to Florida in over two years. This year our big beach trip was Jamaica which wasn’t short of AWESOME! Though with all the beaches I have ever been to the Florida Keys. I am so glad I stumbled across this article, it was really insightful. I think I found next summer’s beach vacation spot 🙂 Though I usually book with expedia, but I noticed you didn’t add them as a recommended site, would you say you get better deals through tripadvisor? Yes, I love booking with Trip Advisor and they will find all the good deals for you. Really the best way to go, plus you get to read all the reviews and make you everything is going to be to your standards. The Florida Keys are an experience for every beach lover! Man all those pictures and the video about all the different wild life down in the keys just took me right back there. In 2005 or thereabouts I went down to Scout Island with my Eagle boy scout son Ethan and the troop of course. I had no idea what pleasures awaited us. We did everything you have written about: navigating the mangroves, snorkeling the reefs, shooing the key deer away from our food and so much more. It was paradise. One day we actually caught a boat over to Big Pine Key and just walked around, had lunch and generally had a blast. The whole experience in the Florida keys is mystifying! Next time I go back I’m taking my wife as she hasn’t had the “Key” experience yet. We will definitely be going to Big Pine Key. I’m bookmarking this site!!! Great John! Everyone needs to experience the Florida Keys. The beaches, the atmosphere, the food, the entertainment….all well worth the trip! Wow! How many days do foreign tourists typically spend here? I suppose those in the U.S. can afford to take a few days break and revisit next time. Do people use this area as a base to travel out to surrounding places? Do you recommend people coming straight here from the nearest airport? I’d have to say that Big Pine Key is more of a pass thru for visitors on there way down the keys to Key West. I don’t know that most people would come to specifically stay here for there entire vacation. The whole Florida Keys and it’s beaches is wonderful! Beautiful site! Bahia Honda State Park looks amazing. My wife and I prefer a little seclusion, and have never been to the keys. This looks like a great option. We’ll bookmark your site and add this to our to do list. I see the cooler season is still pretty nice too. Do the rates change seasonally down there? Yes, everyone needs to visit Bahia Honda State Park….so much to do and so much beauty. Thanks for visiting Big Pine Key and the fabulous Florida Keys Beaches! 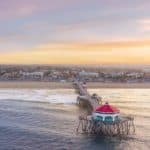 Great site I can see that you really did your home or your are just an experienced traveler either way I like how you break everything down from weather to best days to buy your tickets. Pleasant experience, great display of pictures and very well thought out and around of applause for Matty’s Mom. Thank you so much Randy! It is definitely a passion of mine as I love beaches. And Florida beaches are the best in the U.S., I think. I am glad you enjoyed visiting Marathon Key and the wonderful beaches of Florida. Leahrae, Great website! Your layout and content are superb! The pics are so inviting and the videos are compelling. My wife and I just returned last night from a week’s vacation in the Keys. I wish we had known about your site before our trip! We stayed in Marathon, traveled 2 days to Key West, and the other days saw many attractions throughout the Key islands. Had a wonderful time and will definitely return! I am bookmarking your page because it is such a good resource. Keep up the great work! Thank you so much Marty! I am glad you enjoyed reading about the Florida Keys. You will have to let me know where you stayed in Marathon Key and what you thought about it. Hello! 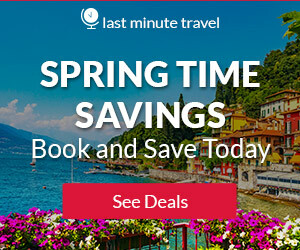 First, I have now bookmarked this website as I am all about beach travel vacations. Second, thanks for all the information about Big Pine Key. We were considering going there, but hadn’t yet spent too much time researching the possibilities. However, I came upon your site and and didn’t need to look anywhere else. You provided all the information and links I would be looking for. Excellent! Big Pine Key – here we come! Thank you Maggie for visiting Beach Travel Destinations! I am glad you enjoyed reading. Thank you for this fantastic information! We have been looking for a new part of Florida to explore from our RV – one that is less-touristy and more natural. We have yet to visit the keys….not sure why we haven’t been. Maybe I expected it all to be like Key West, and bars just aren’t my thing. But the deer refuge! We will be planning an extended visit there soon. You know, pretty much anywhere in the Keys will be different than Key West, especially Big Pine Key. Thank you for reading, and I know you will enjoy! 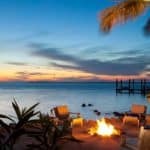 Big Pine Key Vacations in Florida has to be on our list for future holidays, sounds wonderful. We live in the Sunny UK and like to escape to destinations like Mallorca or Lanzarote for our holidays but we do keep saying we’re going to have a change and fly over the big pond to visit parts of America and Pine Keys in Florida looks like a great place to start for us, reading your review. Thanks for visiting Simon. Yes, Big Pine Key is a great way to start off a vacation in the Florida Keys. Just the drive alone is beautiful, not to mention the beaches, nightlife, activities, and sunset parties. You would have a great time! Wow, you’ve really done a great job hitting all the main points for this particular destination. Were I looking to visit this area, your post would be a great resource for me in planning my getaway. One of the things I love about your post is that you talked about the weather. Many sites do not get into that much depth about the year-round weather, and I think the graph you included really sets your post apart. Well done! Thank you Rachel! I am one of those that just has to have the weather. I am a summer person, as if anybody would have never guess, and I don’t like to go anywhere when it’s cold. So I thought the visual would be good, I’m glad it is. Thank you for reading about Big Pine Key Vacations! Thanks for such an extensive review on the Florida Keys. 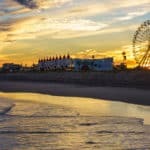 I’ve been looking to vacation there for some time and really enjoyed learning more about it, plus all the services that are around the area. Will certainly be getting in touch with some of them to plan my holiday… Cheers and keep up the great reviews. Thank you Adam! The Florida Keys are amazing and Big Pine Key is a little unique, and well worth staying for a couple of days! Thanks for visiting Big Pine Key Vacations!